Sierra Leone, under the Sierra Leone Peoples Party (SLPP) government, has been ranked amongst the worst places to live and do business in the world thereby overtaking India. In the recently released African Pulse Report, the World Bank has predicted that this 2019 under this SLPP government of President Julius Maada Bio, Sierra Leone’s headline inflation would remain a double-digit. (Photo: President Julius Maada Bio with his Foreign Minister Alie Kabba, right, globetrotting to sell Sierra Leone to foreign investors). The inflation rate in Sierra Leone was recorded at 17.19 percent in March of 2019. This inflation rate measures a broad rise in prices that consumers pay for a standard basket of goods. Headline inflation is the raw inflation figure reported through the Consumer Price Index (CPI). The CPI calculates the cost to purchase a fixed basket of goods, as a way of determining how much inflation is occurring in the broad economy. Cambridge Business English Dictionary defines double digits’ inflation as an increase in prices at a rate of between 10% and 99%. In layman terms, Sierra Leone must brace itself for a hike in prices of almost everything. “Headline inflation would remain in double digits in Liberia, Sierra Leone, and Sudan,” the report states. This Inflation is expected to pick up across the region and beyond 2020, due to an increase in price pressures among metal exporters and non-resource-rich countries. In the second ever Commitment to Reducing Inequality (CRI) index compiled by Development Finance International (DFI) and Oxfam, Sierra Leone placed at the bottom in a ranking of 157 nations. The CRI Index ranks the commitment of the SLPP governments in reducing the gap between rich and poor citizens by measuring three factors considered ‘critical’ to reducing the gap: social spending, tax policies, and labor rights. 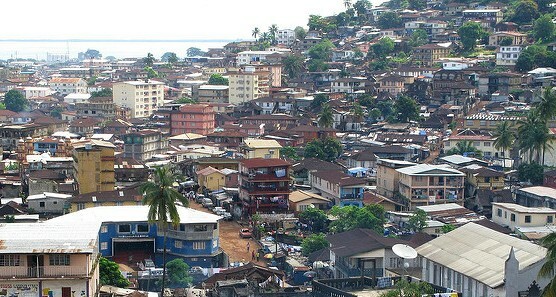 Sierra Leone has been ranked bottom of the index for the first time after 11 years. The longer-term dire outlook of these reports reflects the poor planning and mismanagement by this new SLPP government. It’s sad that our people have to go through this kind of ordeal, poverty is written all over their faces, and the government is not even up to the task of addressing these issues (the bread and butter issues). As the Sierra Leone President Bio and his SLPP government officials continue to travel around the world to sell their New Direction flagship, inflation has risen to 17.19% so far and reports say this Inflation will remain very high through 2019 and beyond.